Leather and polyester. 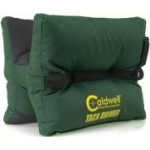 Exclusive hook and loop tabs on Front Rest allow quick installation and removal from cradle. Leather gives secure rest and polyester allows bags to hold their shape. ..
Self-tightening surface grips rifle and reduces felt recoil. Non-marring, non-slip surface. 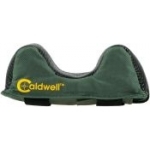 Supports almost any rifle or shotgun shoulder strap included .. The absolute best shooting stick on the market. 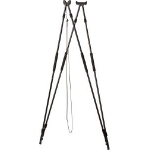 These shooting sticks set new standards and are a brilliant tool for the air rifle hunter. 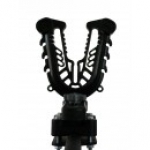 Easy height adjustment with solid mounts and rotating head. 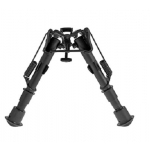 Rubber couplers on leg give the choice of spikes..
Deben Bipods are made from lightweight, high grade hardened alloys. They have been designed to be quick and steady to use, as well as strong and durable. 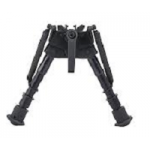 Deben Extreme Precision Bipods are available in three models: Lever Tilt, Tilt an..
Rotation of 15° intervals. Carries fishing poles, shovels, agricultural equipment, etc. Mounts on tubular and composite racks. ..
100% Aluminium Weight: 1.25kg Length: up to 175cm Length, divided: 90cm Features: Lightweight and extremely stable Adjustable handtag in foam Adjustable foot strap Dividable legs w/click system..
100% aluminium. 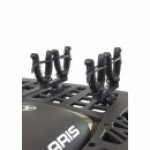 Length: upto 175cm Weight: 1.25kg ..
ATV Tek ATV Flex Grip Rack Fin Grip Pro Single (2 U shaped mounts per pack) Multi Mount Base secures at a rotation of 15° intervals. 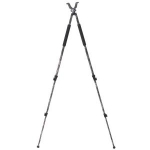 Heavy-duty design carries fishing poles, shovels, agricultural equipment, etc. Fork..